If you recently switched from Android to iPhone then you might be missing some features. Tough iPhones are loaded with amazing features but there are some you may miss. But if you hand over your iPhone to your friends or family very often, then it is better that you lock down apps. Unfortunately, iPhones do not have any inbuilt feature which can help you to lock individual apps such as Facebook and WhatsApp. But thankfully, there is a method to keep them away from anyone else, you can hide these apps with a passcode. You do not need a third-party application to do this. 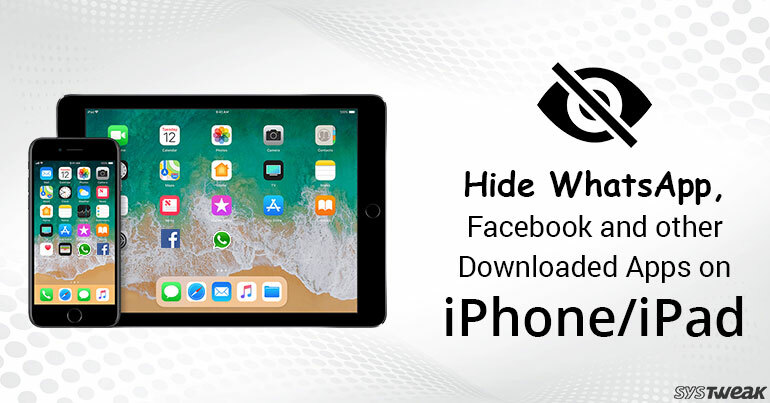 Here is how you can hide/unhide applications on your iPhone and on other iOS devices with passcode. Now Navigate to General and then Restrictions. It is turned off by default. Tap on Enable Restrictions. It will ask you to set a passcode. Set and confirm the passcode to proceed further. In the restrictions menu scroll down you will see Apps tab. In Apps menu, you will find four categories. 4+ Rated, 9+ Rated, 12+ Rated and 17+ Rated these are the categories of the app on the play store. If you want to check the category of any specific app you want to hide then you need to open the app on the app store and you will be able to see the rating. If you are not sure about the age rating of the app then you can tap on Don’t Allow Apps this will hide all the applications you have downloaded from the app store. Next simply exit the settings app you will find that all the applications you have downloaded from the app store are not there on the home screen of your iPhone. Now you can safely handover your iPhone to others. You will not get notifications for any of the apps you have hidden. If someone will try to open restrictions settings then it will ask for the same passcode. Whenever you want to unhide apps you can go to the same restriction settings menu. Enter your passcode and go to Apps tap on “Allow all Apps” Your applications will be visible on the home screen. If you are looking for an application to lock apps on iPhone then you can try this feature. It is much safer to hide apps with passcode instead of locking them.